Site: Machine cut, hand finished, painted with grass, roads, walks, water features, landscaping, cars & people. Landscaping: large and medium trees with accurate shrubbery per the landscape plan. Water features: lagoons, pools and ocean modeled to simulate depth and texture. Buildings: Full color laser cut acrylic Scale Models buildings. Towers: Plexiglas construction with digitally enhanced facades. Ko Olina is becoming a favorite choice for many buyers who value not only the Hawaiian resort lifestyle, but desire the variety of cultural, business, entertainment, health care, international shopping, and culinary delights Oahu has to offer. See our other Hawaii, Beach Villas Portfolios! 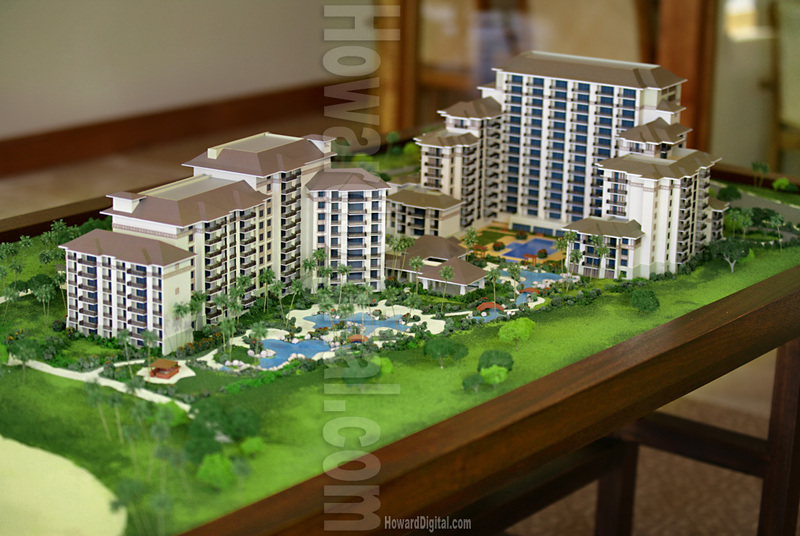 We are committed to being your architectural model builder of choice. Therefore, we have redesigned the architectural model building process with your needs in mind. Our new process speeds production communications, and adds flexibility to the construction process.